Viking Books for Young Readers, 9780451471222, 256pp. Karen Blumenthal is a critically acclaimed children's nonfiction writer and former journalist for the Wall Street Journal. She is the author of seven nonfiction books for young readers including Steve Jobs: The Man Who Thought Different, Hillary Rodham Clinton: A Woman Living History, and Bootleg: Murder, Moonshine, and the Lawless Years of Prohibition. She lives in Dallas, Texas. 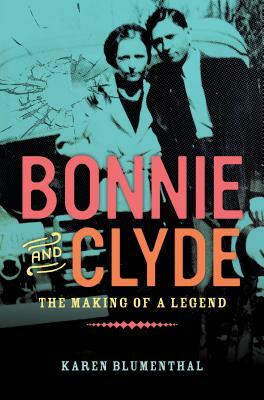 "Blumenthal has written more than a crime narrative or a biography of the famous outlaws Clyde Barrow and Bonnie Parker. The book presents a social and cultural snapshot of the duo’s times"